Herded in numbers greater than one, get ready for rip-roaring good fun! The next Killer Bunnies Booster Deck adds 55 cards to your existing set and a cool new Zodiac die! It’ll give you a good feeling to see Law Enforcement bunnies prevent crime and stealing. If you’re using Smoked Salmon to spend, you’ll have to do it before the game’s end. Trouble will begin to brew, when General Tso takes Carrots from you. Two thousand is the number I heard, will help you to win the Mockingbird. Be careful not to vex your friends when you play the seditious Horrible Hens! Know your Zodiac and know your fate, know your year, at any rate. 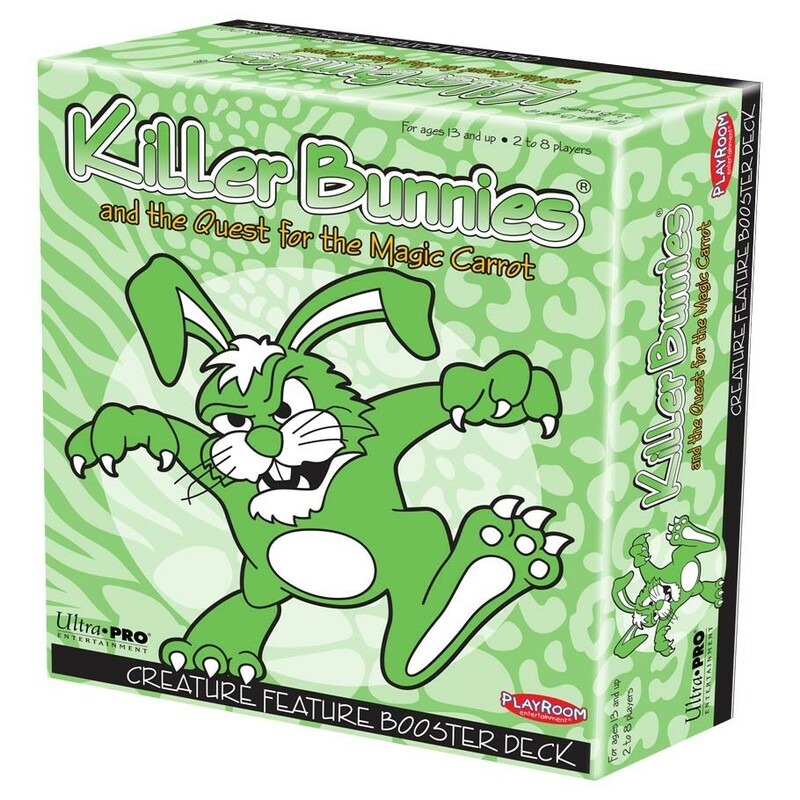 The Creature Feature Booster Deck is a mammalian mishmash of vivacious varmints that will daze and amaze you!